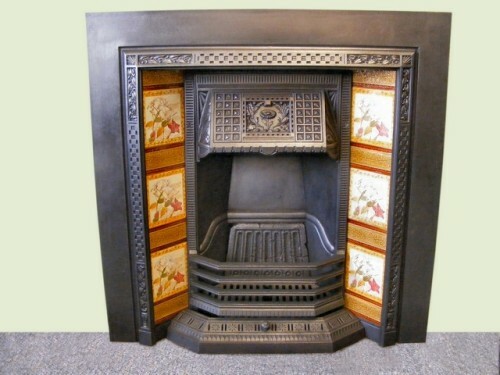 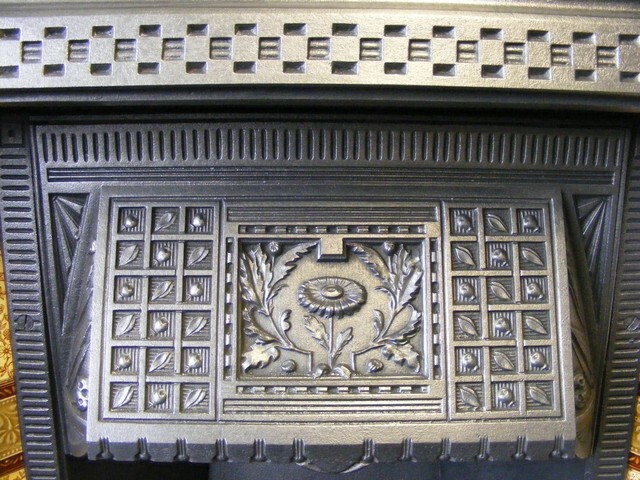 Victorian tiled insert (ATI-1399) A very fine Victorian tiled insert in the Aesthetic style with A stylised daisy and other floral embellishments to the hood and outer frame, made by the famous ”Carron” foundry of Falkirk in 1894 it is now fully restored. 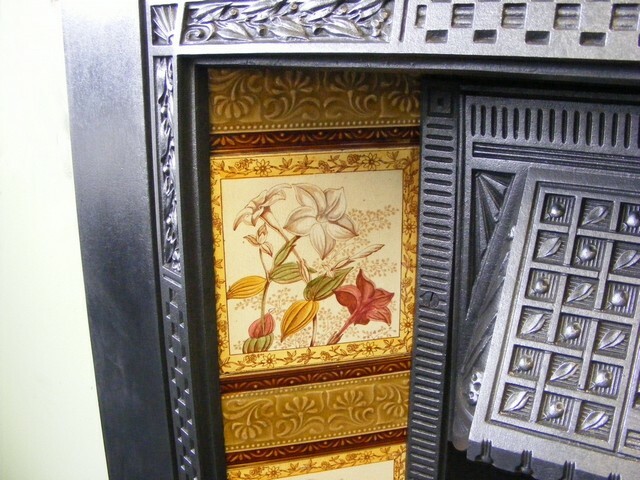 And comes complete with its original fireback and a very fine set of original Victorian floral tiles. 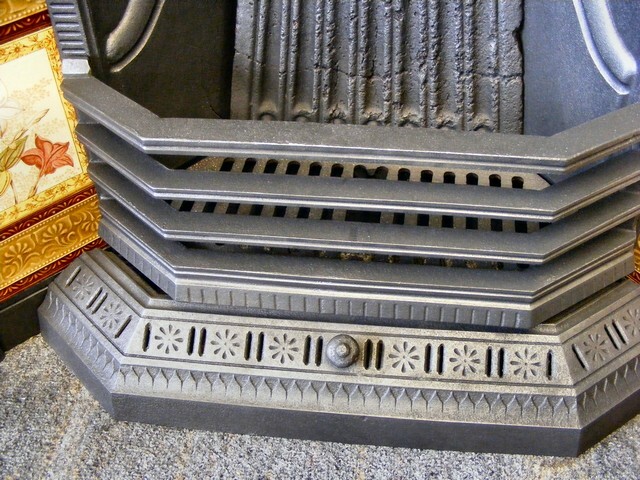 Measure 38”wide x 38”high with a 16”fire opening. Priced at £750.00.